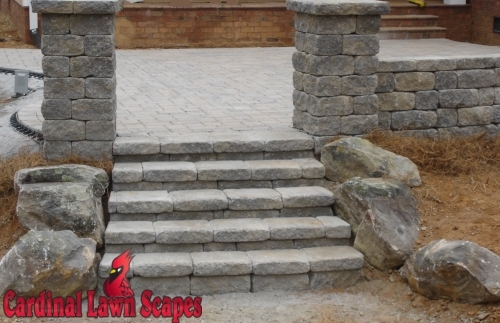 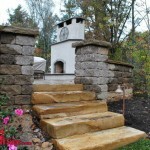 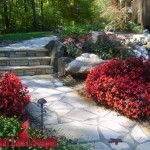 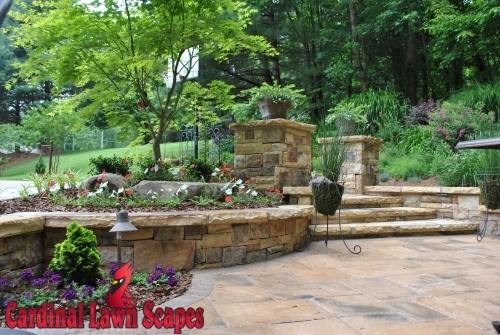 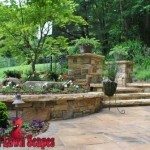 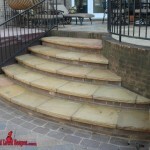 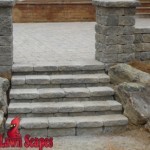 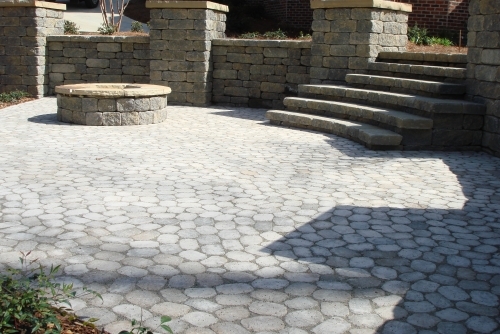 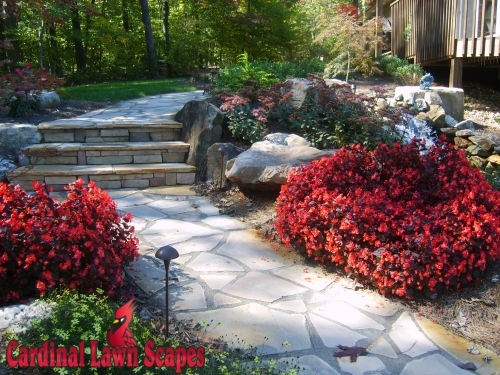 Make an ordinary deck or patio stand out with stone steps, stairways and columns. 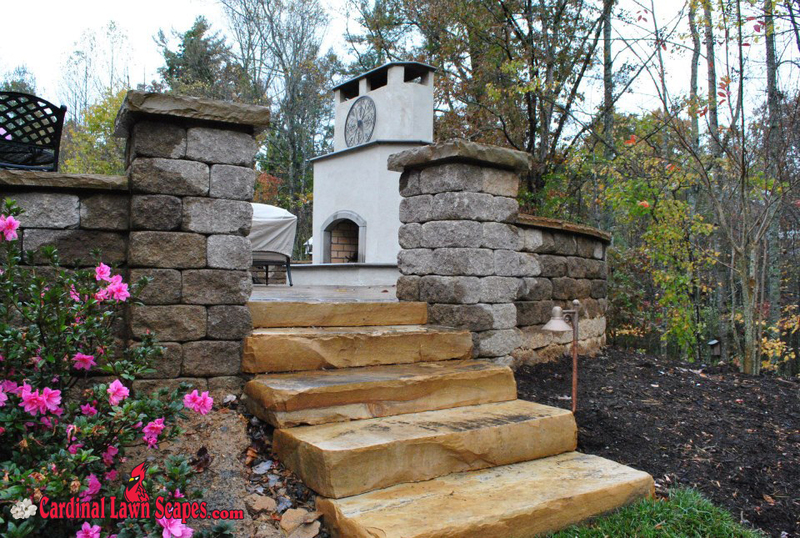 We custom design steps and columns for new deck and patio construction or to improve an existing structure in Winston-Salem, Mt. 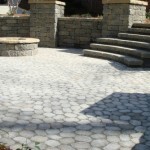 Airy, King, Summerfield, Smith Mt. 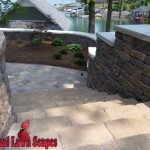 Lake VA and surrounding area. 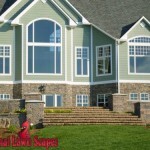 By custom designing every project, we help homeowners improve the look and value of their home. 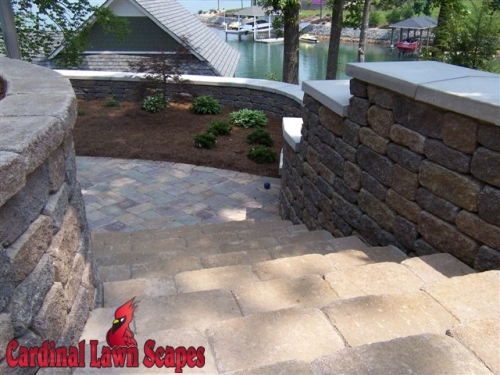 Whether it’s replacing a front stairway or a side doors’ steps to custom designing stairways for new deck and patio construction, Cardinal Lawn Scapes is your solution. 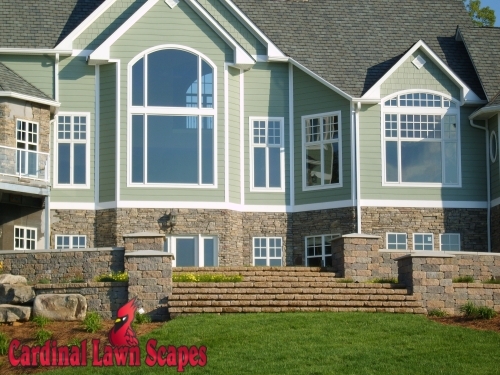 Since 1996, Cory Snow has been helping clients throughout Central NC and Southern VA add custom designed, high-end finishes to their home improvement projects. 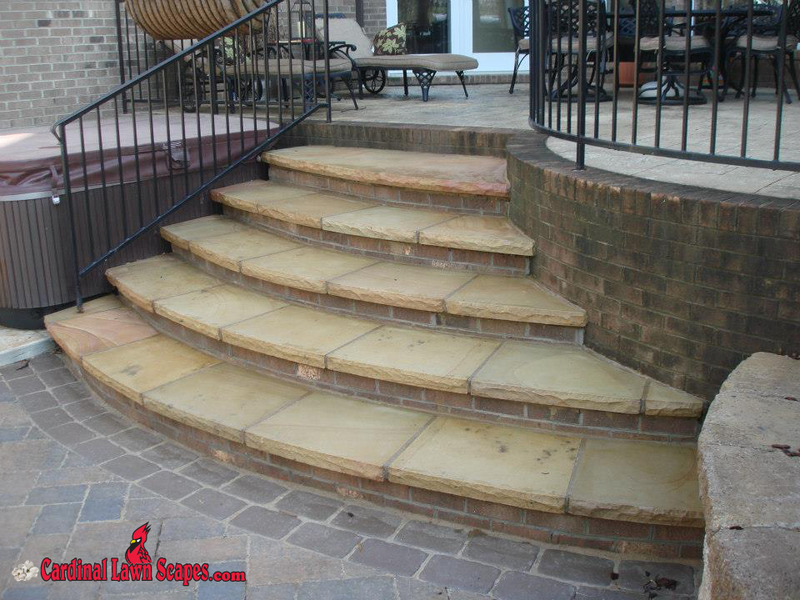 To learn more about our stone stairways, steps and columns design and installation service; please call (336) 994-1234 or contact us.